Stunning clusters of diamonds adorn a beautiful 14K white gold ring wrap for a beautiful impression. 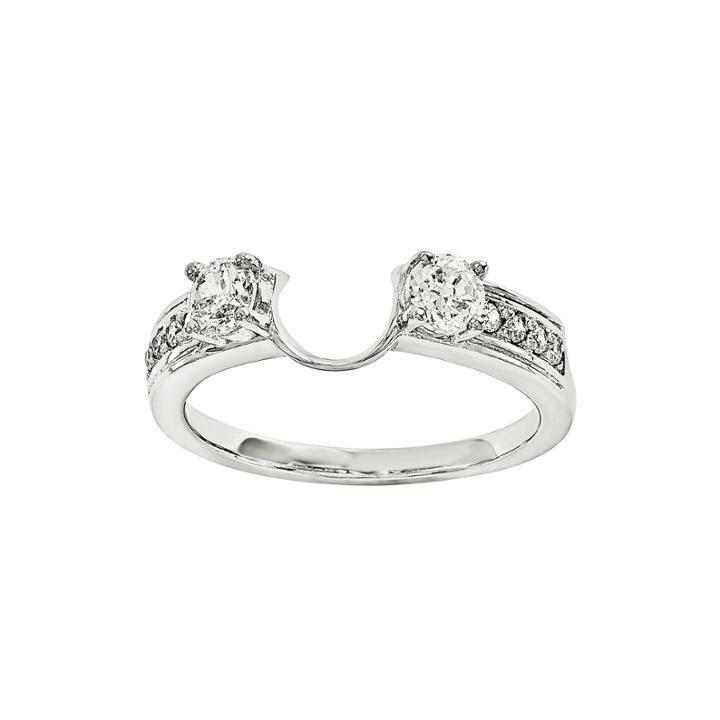 Metal: 14K white gold Stones: 5/8 ct. t.w. diamonds Color: G-I Clarity: VS2 Setting: Prong Diamond total weights may vary between .01 and .08 carat. Jewelry photos are enlarged to show detail. Diamond And 14k White Gold Stackable Ring, .25 Ct. T.w.